To improve the efficiency of your heating & hot water systems we recommend & install Honeywell controls. A device to set on & off periods for your heating & hot water. This turns the heating on & off according to the air temperature measured against your setting. This unit acts as a programmer & room thermostat all in one. 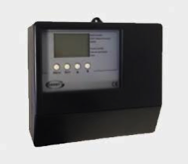 With the programming of this unit, you have time periods where you set minimum temperatures. Therefore you will not set on & off times, but minimum temperatures that you want the house or zone be at through a 24 hour period. The advantage of this, when set properly, will not let the house or zone get too cold and requires the boiler to fire for shorter periods. Where a hot water tank is fitted, this measures and controls the water temperature in the tank. These are fitted to radiators to give a basic temperature control of the room. By measuring the air temperature around the valve, they can stop the water flow into the radiator as the air temperature rises. The lower the setting on the valve the earlier the valve will close, therefore lowering the temperature of the room. Electronic controls should work with your boiler to ensure the boiler only fires when a heat demand is required. A lot of homes don’t have room thermostats, just thermostatic radiator valves (trv’s). When a system is fitted without a room thermostat the boiler and pump will keep running when the house reaches temperature, as the trv’s only turn off each radiator. 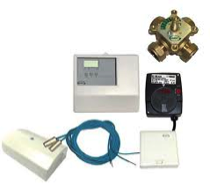 Installing a room thermostat can be simple with the availability of various wireless products and when installed with thermostatic radiator valves could save £70-£150 and 310kg to 630kg carbon dioxide a year. *Information supplied by the Energy Saving Trust on a typical three-bedroom semi-detached home, heated by gas. To improve the efficiency even further additional controls can be added to give greater control of the heating & hot water systems; some of these will be especially beneficial in larger properties. This is a wireless control system that can control up to 12 zones, which enables the heat to vary throughout the house. Therefore you only heat the rooms when and where you want to. It can with both underfloor heating and radiators or a mix of both. For more information click here. When multiple boilers are fitted on the same system, it’s not always necessary for all boilers to fire at the same time, especially in the summer. This unit works out how many boilers are needed to deal with the heat requirements of the system and also ensures the boilers fire equally throughout the year. This reduces the amount of fuel used and wear of the components. 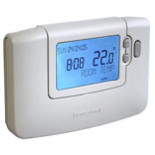 With standard room thermostats they tell the boiler to turn on when the air temperature falls below the set point which heats the radiators to about 70ºC. Then when the air temperature set point is reached the boiler turns off. The disadvantage to this is that after the room thermostat has turned off, the radiators are still emitting a lot of heat which overheats the house or zone. This can happen even when only a few ºC temperature rise is required. With compensation controls they measure inside and outside air temperatures and allow the correct amount of heat to the radiators to ensure the house or zone doesn’t overheat, which in turn reduces fuel consumption.